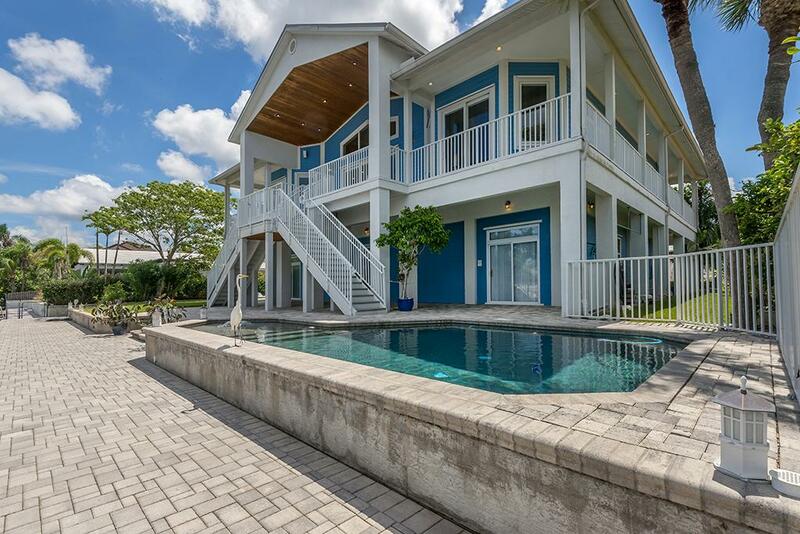 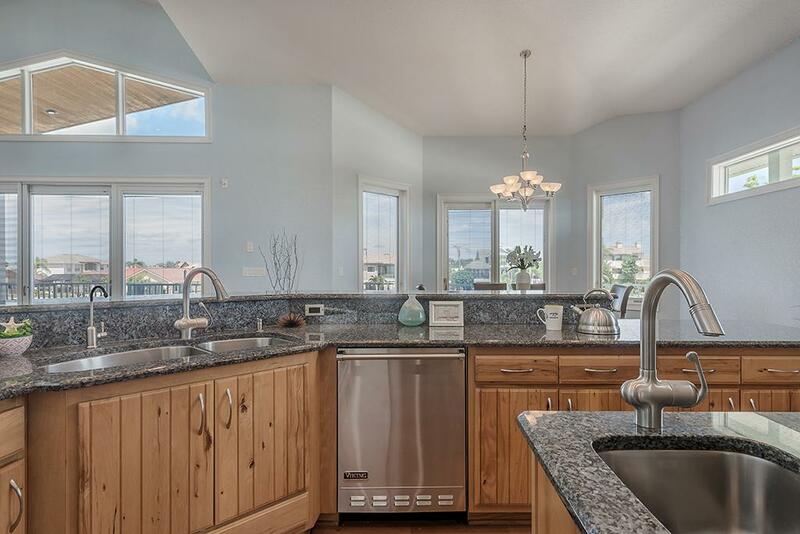 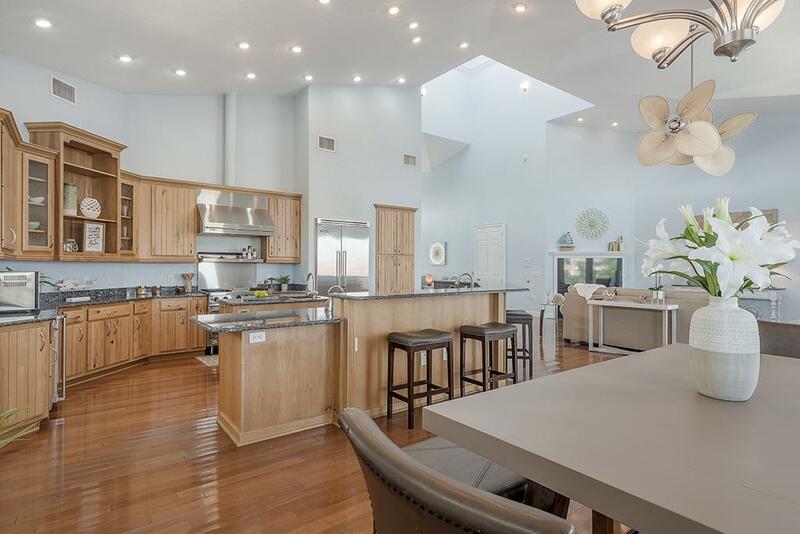 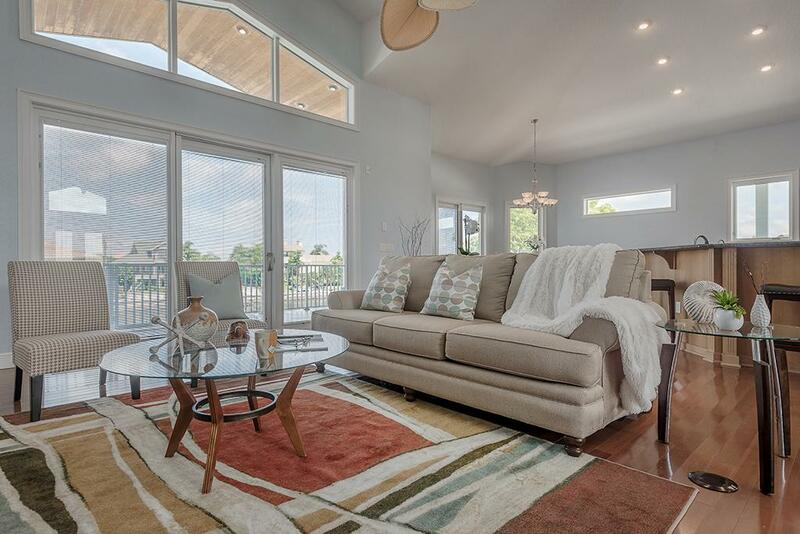 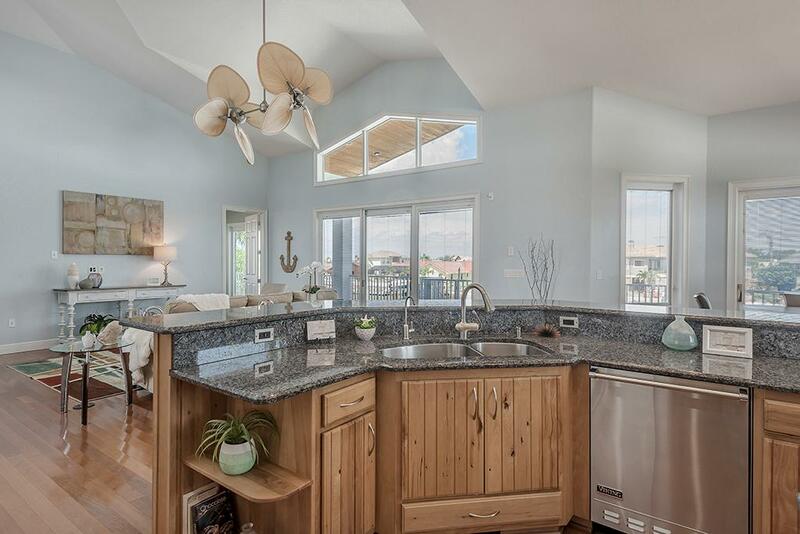 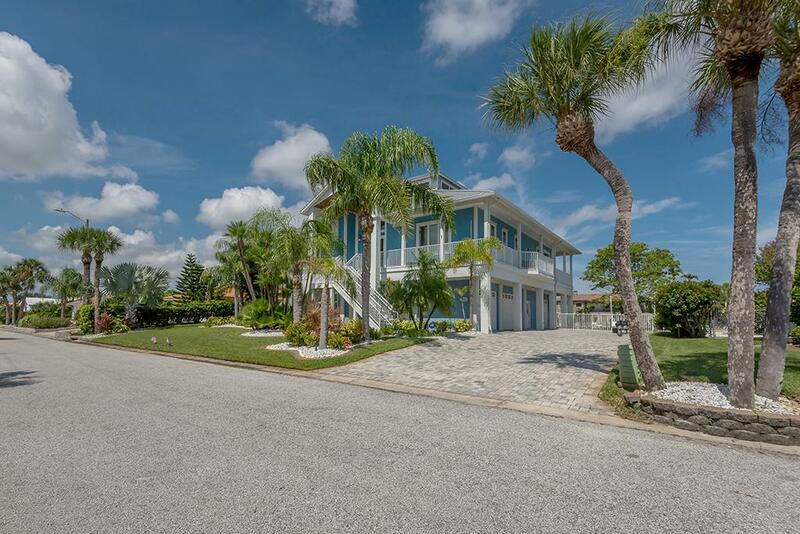 This exquisite custom-built home is minutes from the Gulf of Mexico, the spacious open floor plan has high ceilings, a gourmet kitchen with Viking appliances, a wet bar, granite counters, and fireplace making it perfect for entertaining family and friends. 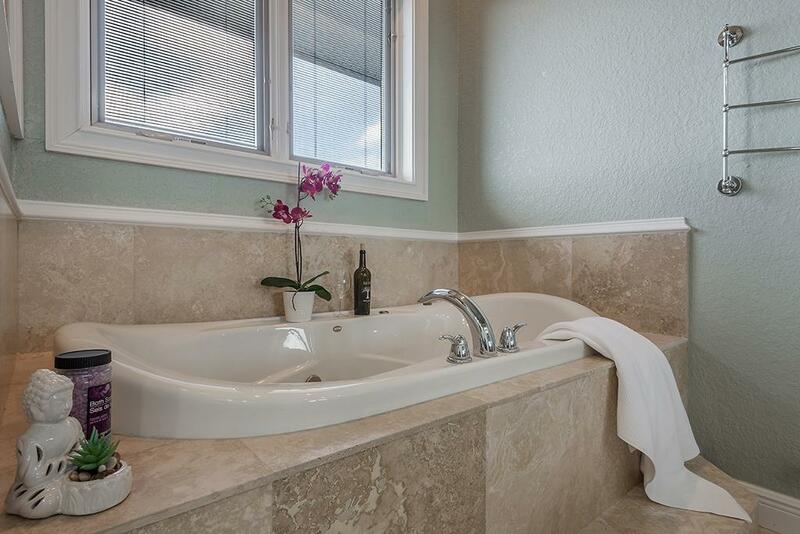 The master suite features a great en-suite bathroom, plenty of closet space, and a great view. 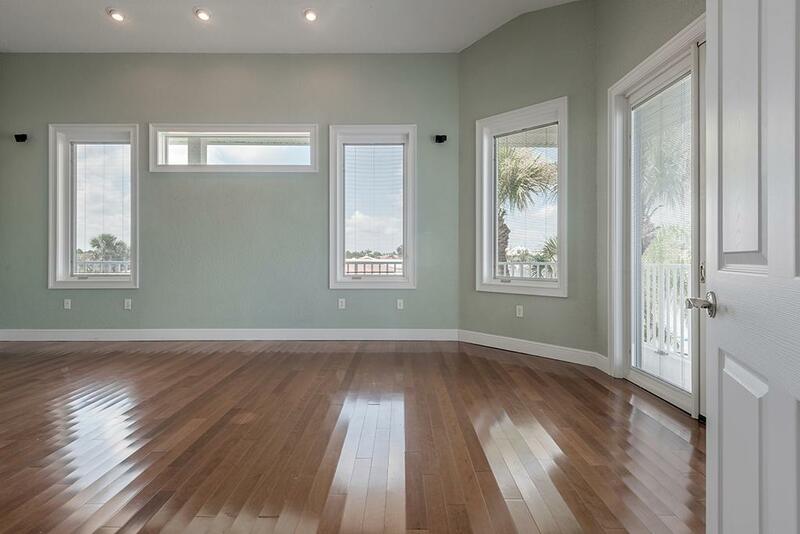 The remaining bedrooms all have hardwood floors, high ceilings, and great closet space. 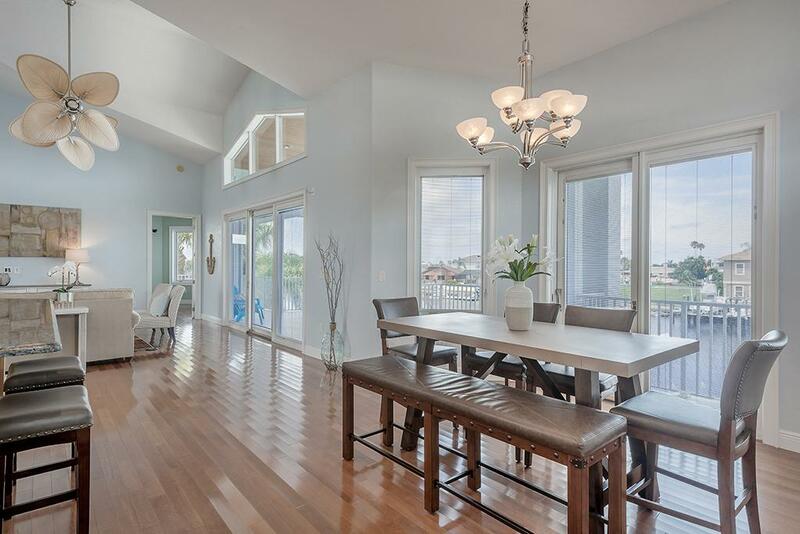 Hurricane rated windows and doors throughout the entire home allow for plenty of natural light and protection. 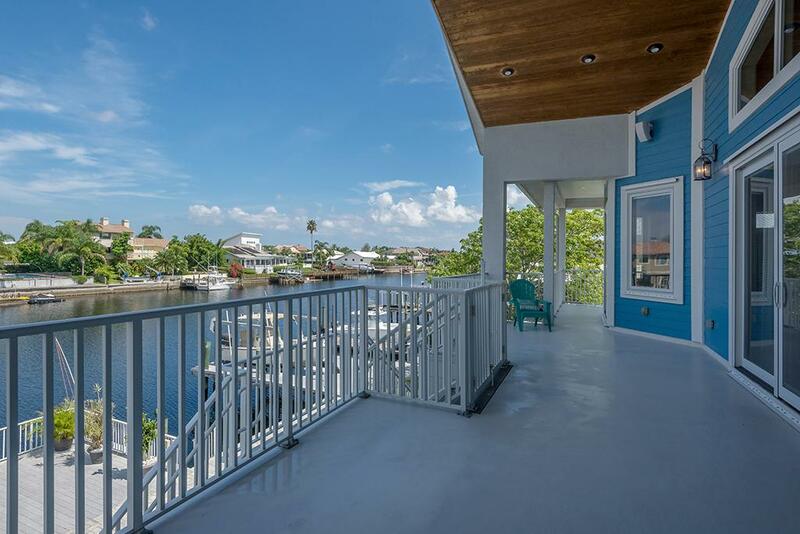 Enjoy dolphin watching from the four-sided wrap-around deck, which also provides spectacular views of both the sunrises and sunsets. 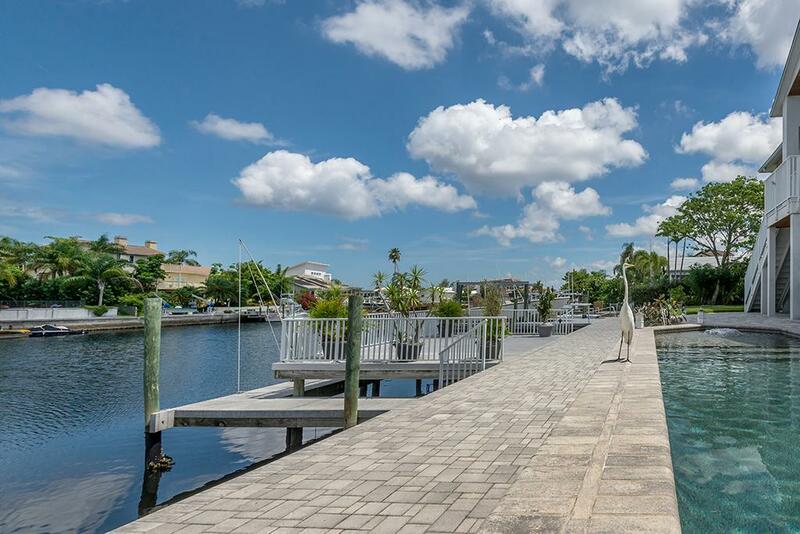 The pool and patio which are paved and expansive sit directly on the canal and are adjacent to your new dock and boat lift. 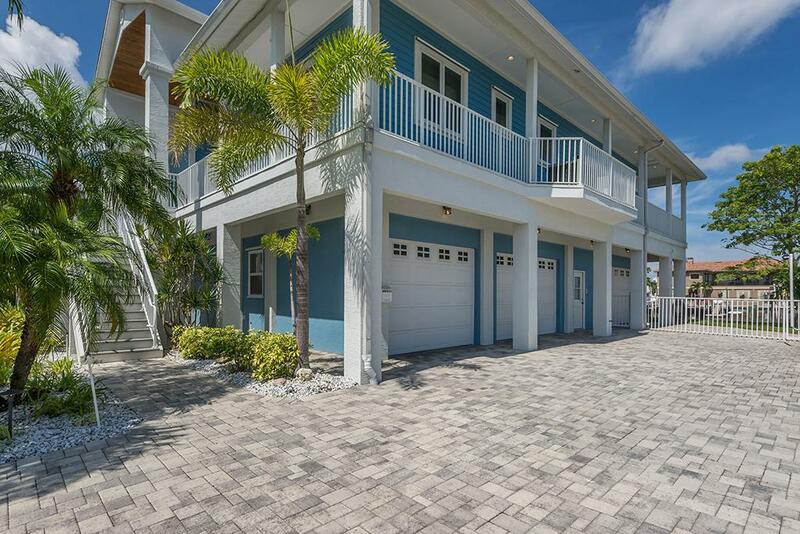 The large three Bay garage, features parking for six vehicles, workshop, ample storage, and an elevator to the living area. 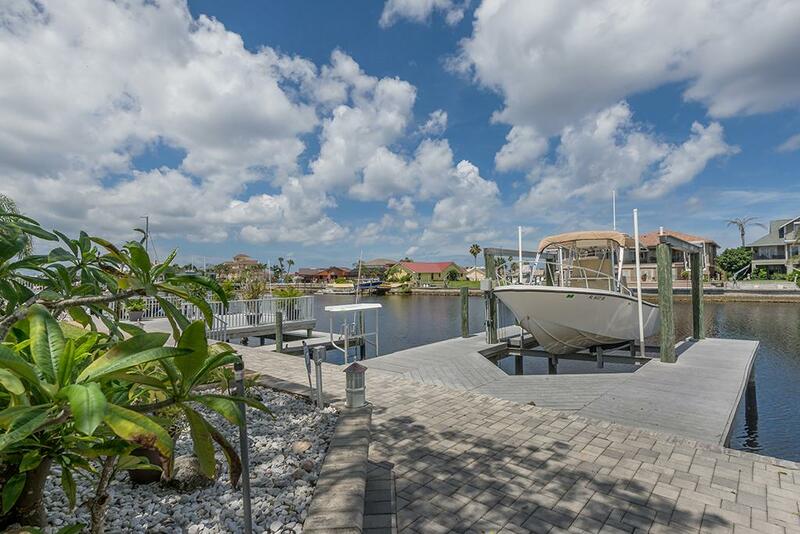 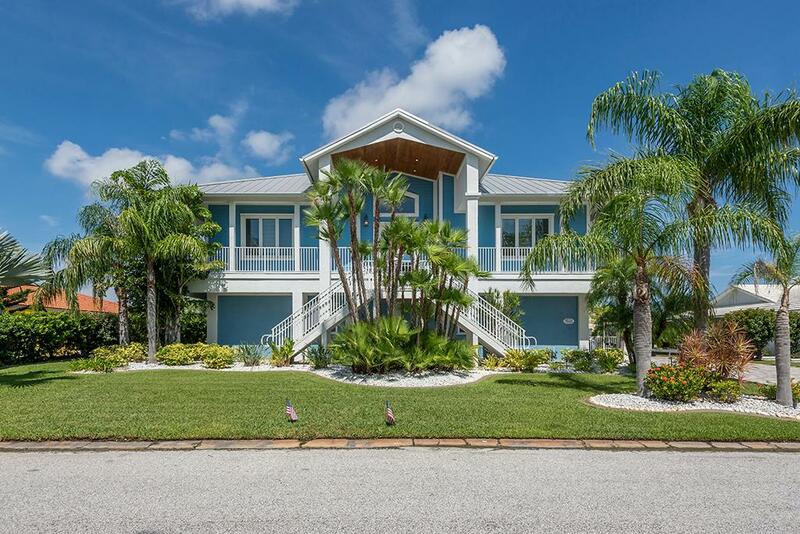 Gulf Harbors is a waterfront community with private gated sandy beach, two boat ramps and a Yacht Club. 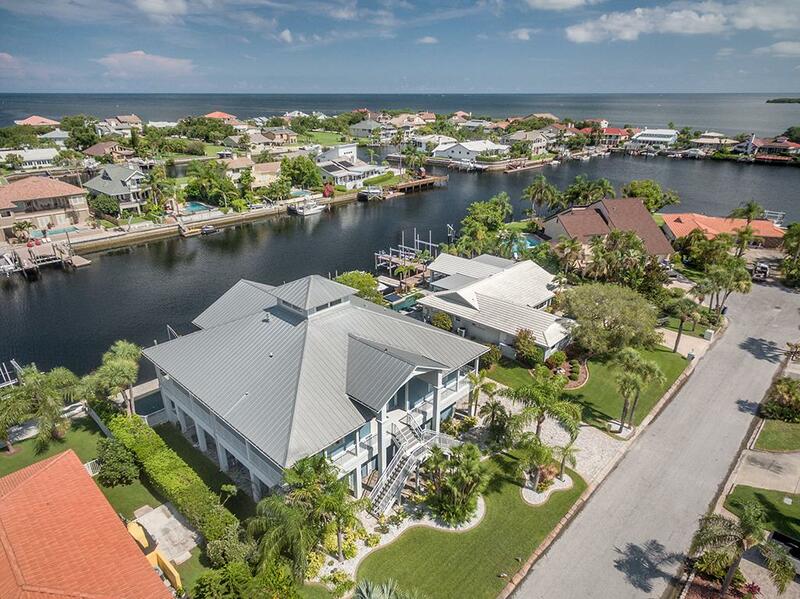 Pristine all-natural barrier islands are virtually right around the corner. 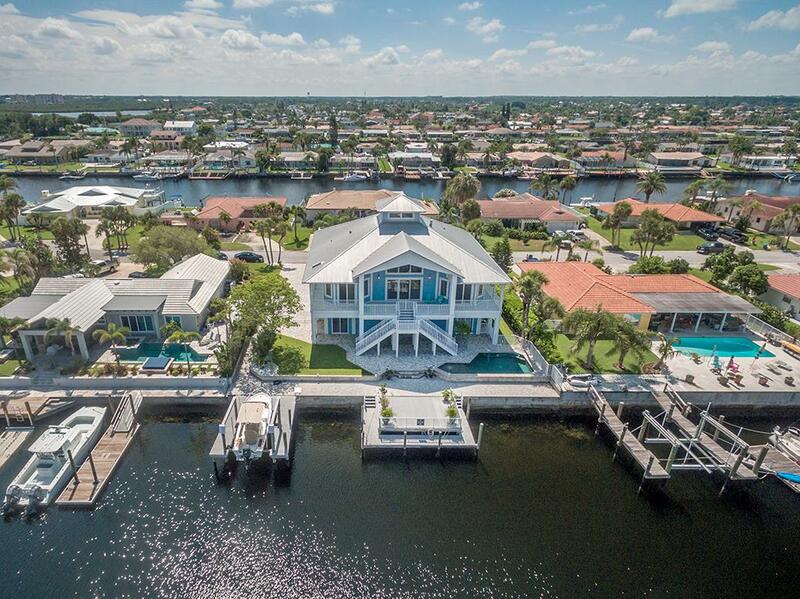 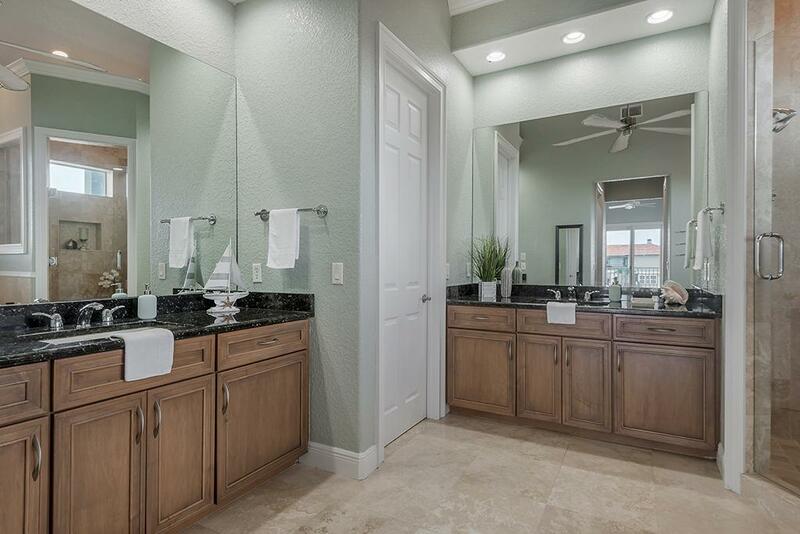 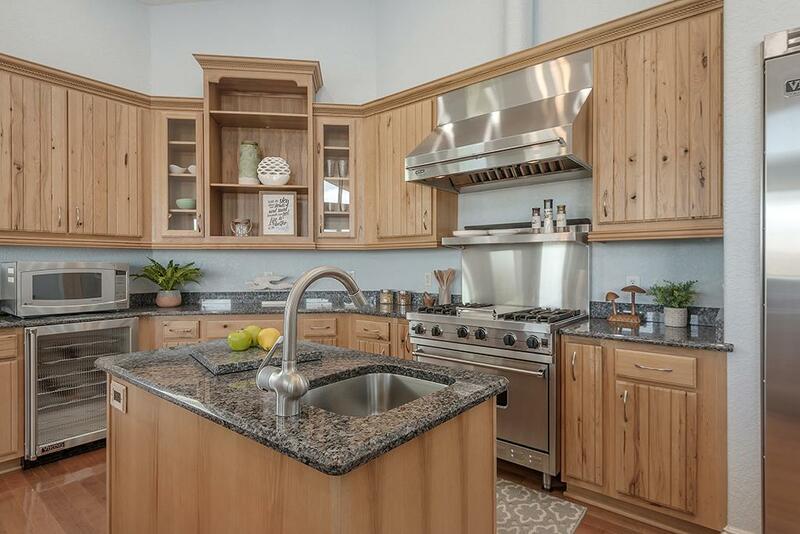 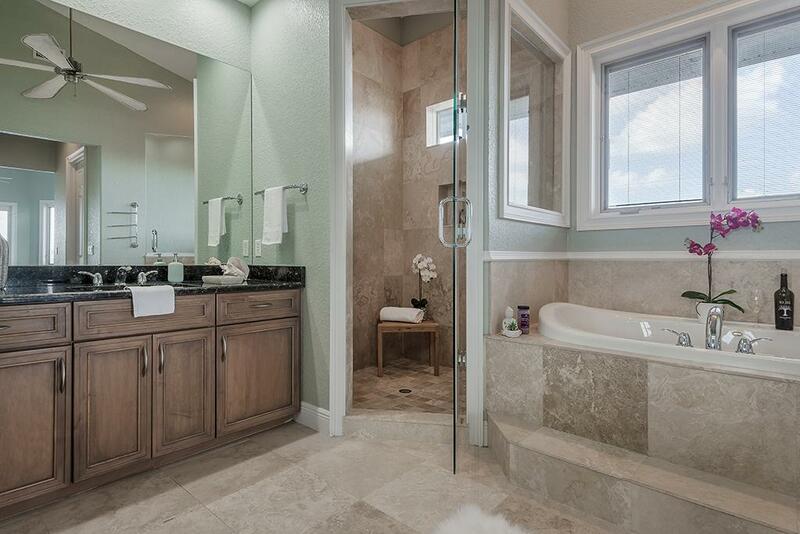 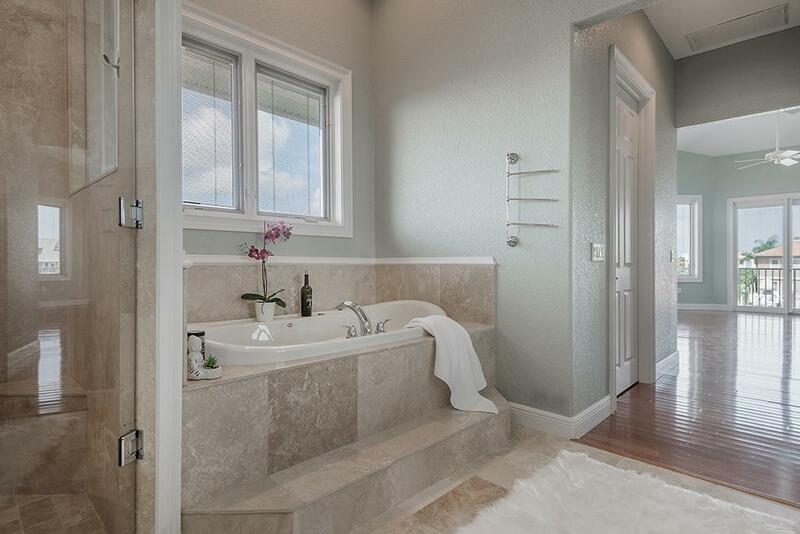 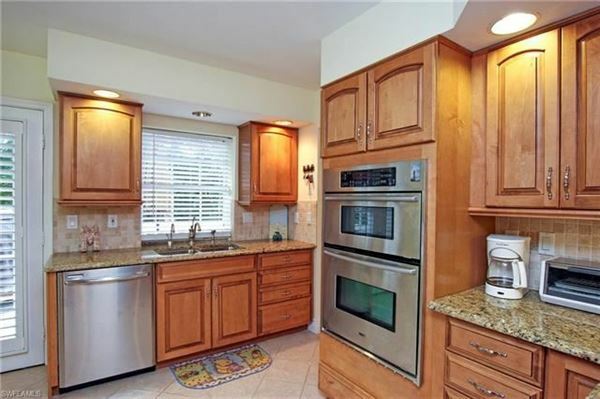 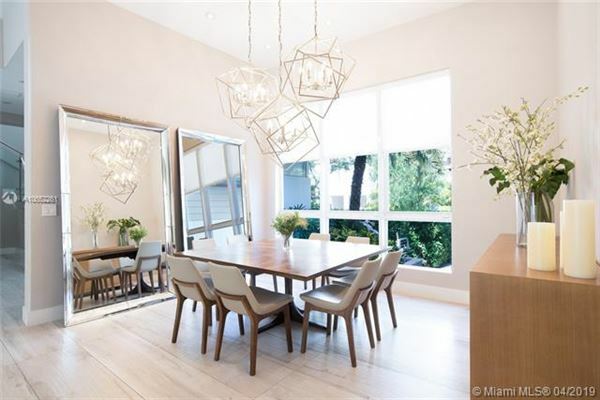 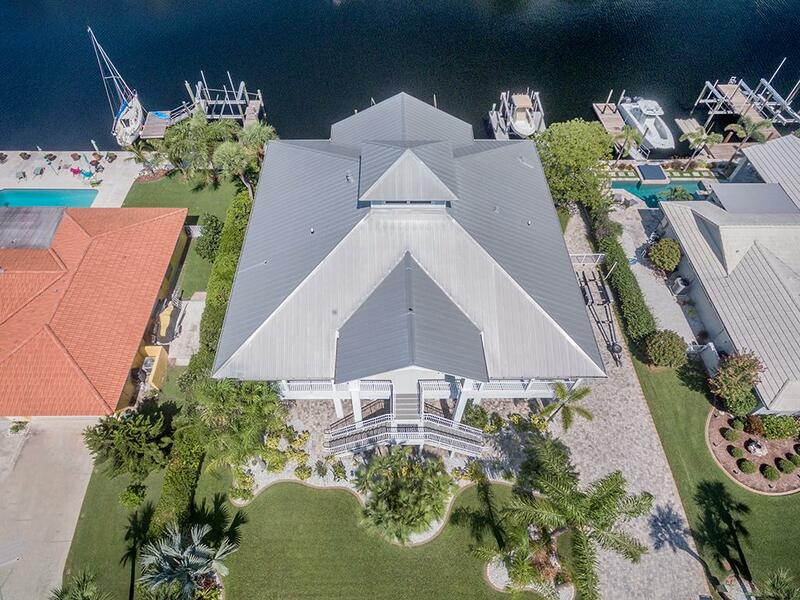 All this and more await you in this one of a kind Florida home. 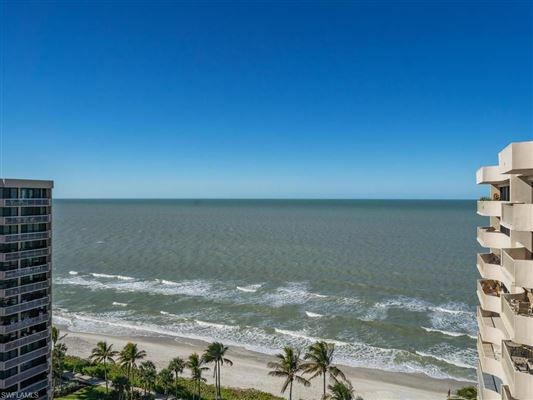 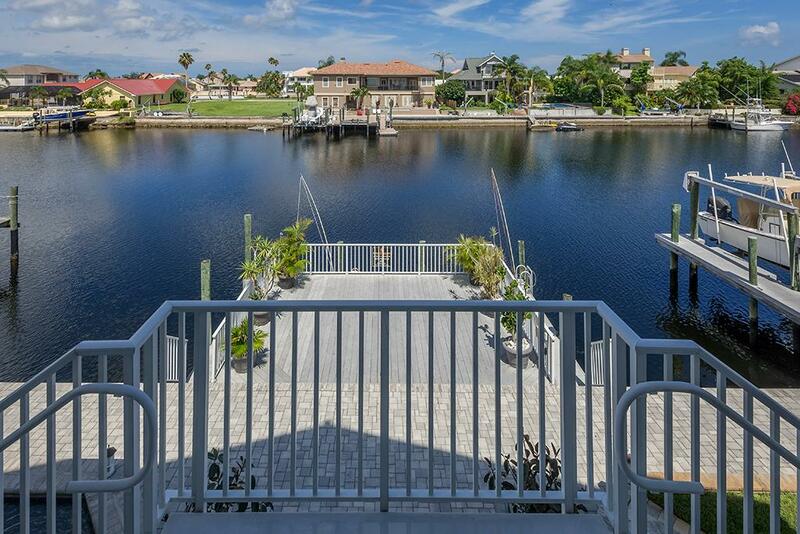 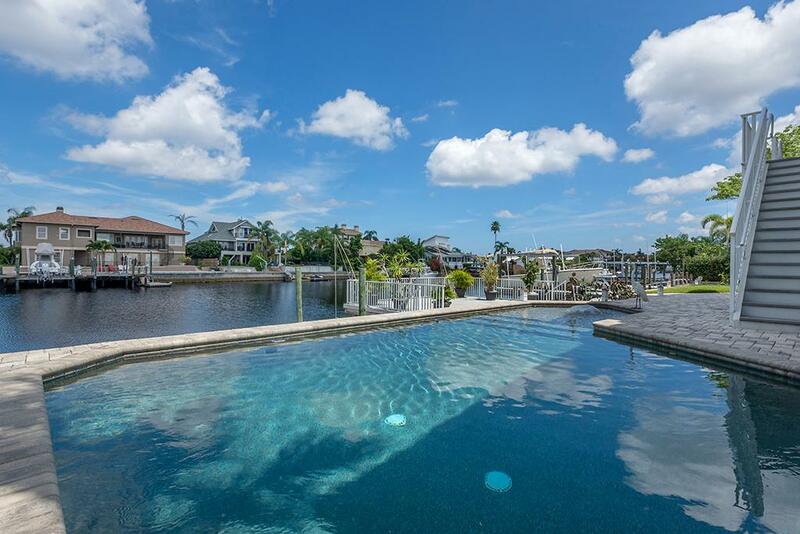 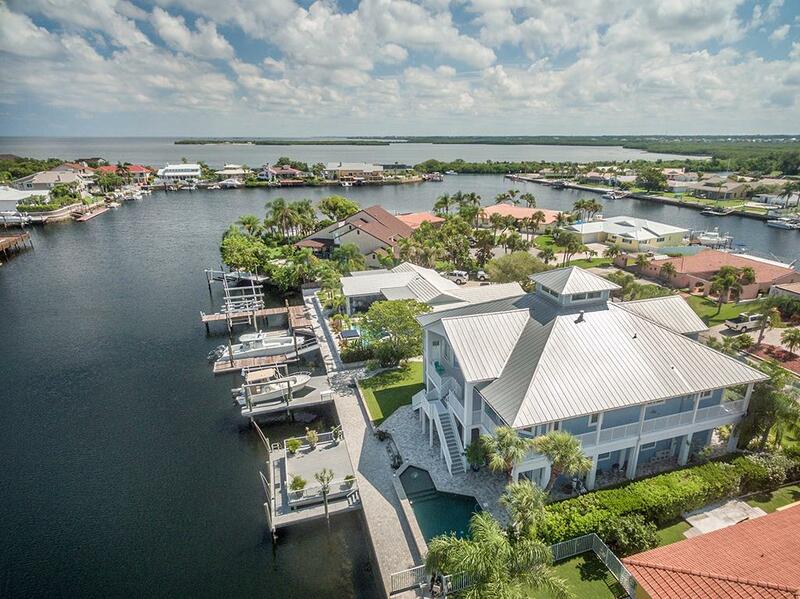 Direct deep-water canal access to the Gulf of Mexico and beyond can be yours.